Thank you DT: For demonstrating to a generation that grew to voting age with Barak Obama as president how important it is to vote. Thank you DT: For showing Hillary Clinton once and for all that a deep strong resume cannot fully make up for deficiencies in charisma and ability to campaign. See also - George H.W. Bush. Thank you DT: For showing that it's important for a presidential candidate to have some exposure in one or more elected government jobs before running for president. Thank you DT: For showing the citizens of the US what the priorities and accomplishments of a GOP Congress would be if they had any breathing willing bill signer in the White House. And now, off to vote. I have an acquaintance on FaceBook - I've known her for many years, but was always uneasy about her. According to her, she's had terrible luck finding and keeping a job. She wants to only do home health care, will drive many miles to such a job. I think one of the main things about such a job is that it comes with room & board. But she always seems to screw up somehow and get canned. Or else it's bad luck. In the most recent case, she arrived at the town where her client lives, only to find out that the client went the hospital while she was on the road. She now has no job and no money. She is begging for money via Facebook. She's done this before. Friends always seem to give her just enough to get by. When this happens, I always think to myself "I've got to unfriend this money pit", but I never do, and then things are looking up for her again, and I forget about unfriending her until the next beg. But then I feel guilty about unfriending her while she's asking for money. Hi FuzzyDave - I know it might be a year before you see this, but I see from your Tumblr that you've gone into bypass surgery. Best wishes to you, and I hope to see more pics & mysteries form you in years to come! Election Eve Partying, Or ? Tomorrow is Election Day 2016. I'm leaving work early and the wife & I are going to friend's house for dinner and dessert and beverages, and watching the election results. How about you? Since the afternoon/evening of Feb. 12th I've had a mystery oval bruised area on my inside right forearm. Abput 5 inches long and 3 inches at the widest. It's a mystery because I can't think of any impact that would have produced the bruise. It's slow to heal up, at least it doesn't ache, nor is it especially tender to the touch. Weirdly, there's a more tender spot to the right that isn't bruised. "And let's dispel once and for all with this fiction that Barack Obama doesn't know what he's doing. He knows exactly what he's doing. 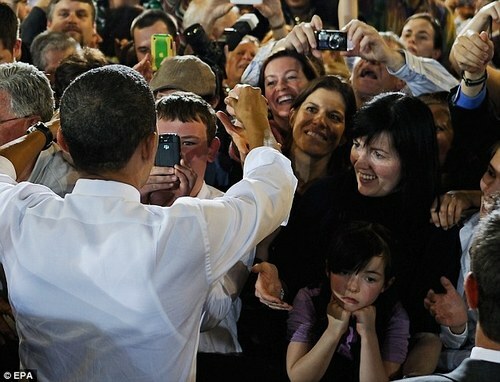 Barack Obama is undertaking a systematic effort to change this country, to make America more like the rest of the world." "That's why he passed Obamacare and the stimulus and Dodd-Frank and the deal with Iran. [...] All this damage that he's done to America is deliberate. This is a president that's trying to redefine this country." 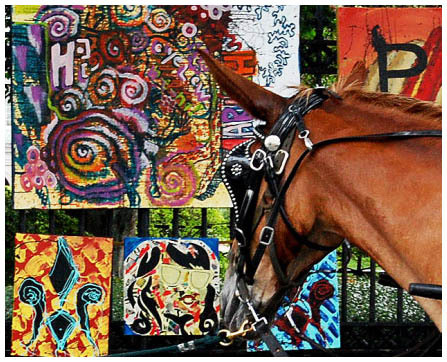 Testing linking to a web page. Like it says in the title - I had a dream about this last night, which I expanded on now that I'm awake. If I missed any key details - hey, it was from a dream, and I'm posting for the lolz! FACISM: WE are strong! STRONG! Wanna feel my bicep? Nobody better mess with us! Enhanced FACISM: THEY are our enemy! WE must neutralize them, with our STRONG STRENGTH *flexes biceps*. COMMUNISM: WE each of us have needs and abilities, and if we get together to use our abilities to satisfy each other's needs, it'll be paradise! Enhanced COMMUNISM: But first WE must get into the proper mindset! THEY don't have the proper mindset, WE must correct THEM. Also, this small group of US is like a super-US, we'll tell all of US how to get to the glorious future! Also, we need a higher amount of resources, because of all the hard planning & coordinating were are doing for US. CAPITALISM: WE each of us have needs and abilities, and if each of us uses our abilities to satisfy each other's needs, at a fair price, it'll be paradise! Enhanced CAPITALISM: If it doesn't have a monetary price, it's silly sentimental crap. And fair is what the market will bear - $300 too much for a dose of medicine? What, you wanna die instead? I don't know what the words say, but the pictures tell the story pretty well, I think. Drunk Yoga - has anyone here practiced this esoteric practice? Do you know someone who goes on and on about the superior audio qualities of vacuum tubes? If you do - then here's the gal for him! Apple says that Windows 7 can't work on our model of MacBook Pro (MA609LL, model number A1211, late 2006, 2.16 GHz), but other users online say that only applies to the stock out-of-the-box condition. When others added another Gig of RAM (for 2G total), they were able to install Windows 7. Our laptop already had expanded RAM, so I gave it a try. Using Apple's Bootcamp, I completed the installation last night. Works great so far! Although, truth be told I haven't done anything very stressful to it yet. Another bit of good news - I can use our old HP ScanJet 4570c scanner under Windows 7 - no need to buy a new scanner! A new scanner would have cost almost as much as Windows 7 Pro did. That model of scanner is no longer supported by HP, but Microsoft still produces drivers for the scanner that work on Windows 7. My wife & I both occasionally do web-related work at home, using our Macs. We'll be using the Windows 7 install to check our Mac-developed work in Internet Explorer and other browsers. And also to open the occasional file from clients that don't seem to open on a Mac (probably due to the malware embedded inside). And scanning. My dad mostly seems to like action movies, with a preference of martial arts over shoot/blow-em-up, but gunplay is acceptable (a la the Transporter series). Also, he's not into going to see new movies in the theater, so it'll have to be available at Blockbuster or Netflix. 1. The hero cannot depend overly-much on pure luck and/or the poor marksmanship of the bad guys. If there's a scene with the good guy stands in the open with pistol(s) blazing and manages to take out three or more bad guys armed with machine guns, I'm not interested (exceptions - if the hero can control "reality" and stop bullets like Neo in Matrix). 3. If the plot revolves around some super-science weapon or bioweapon, please let it not be too much of a violation of known science. 4. If there is a love interest, let her be believably lovable, as opposed to the Ukranian #[email protected]! in Transporter 3. 5. No animation - not so much my objection, but I suspect my dad would hate it (although he did ask to see Kung Fu Panda, and seemed to enjoy it for it's quality). My wife & I took a big step today - we told Dad he could stay with us until his medical condition was such that we couldn't take care of him. He seemed happier afterwards. Now comes the big chore of rearranging rooms so that the room my wife is using as an office can be used for his stay with us. It's going to be be like those puzzles where you move tiles around until all the numbers line up in order, except with heavy furniture. Please post in comments the best variations on "I, for one, welcome our new * overlords", with links. 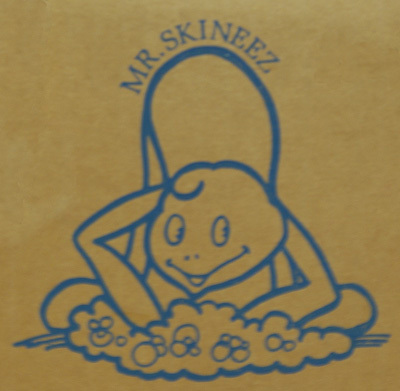 I found this picture of Mr. Skineez on the side of a packing carton. I believe the product was some sort of antiseptic skin wash that is no longer made. What the heck is he? A few words about my 20 mile walk last Saturday. No Blisters! - I can endorse sock liners for the prevention of blisters - nothing remotely like a blister after all that walking. I don't know which brand I bought years ago, but they look like this. 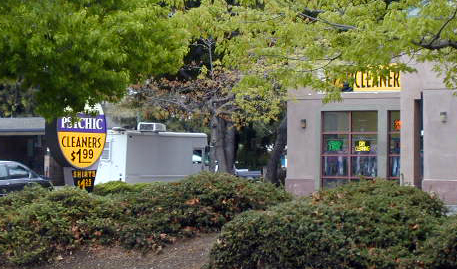 Mountain View: Psychic Cleaners - two businesses, side-by-side, one a dry cleaner, the other a psychic - Why not share a sign? 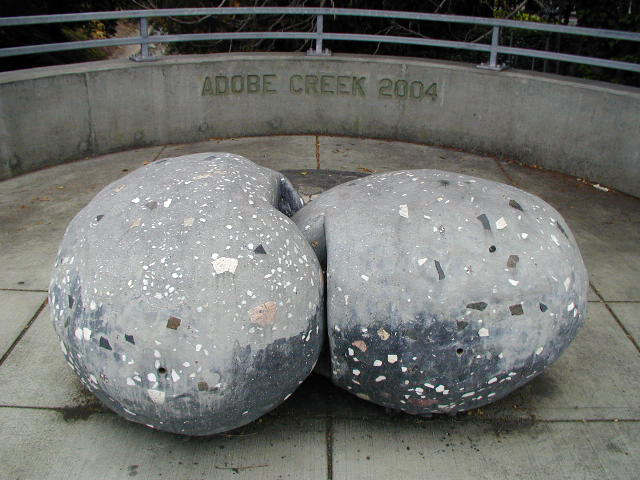 I was feeling the burn as I traveled through Palo Alto. 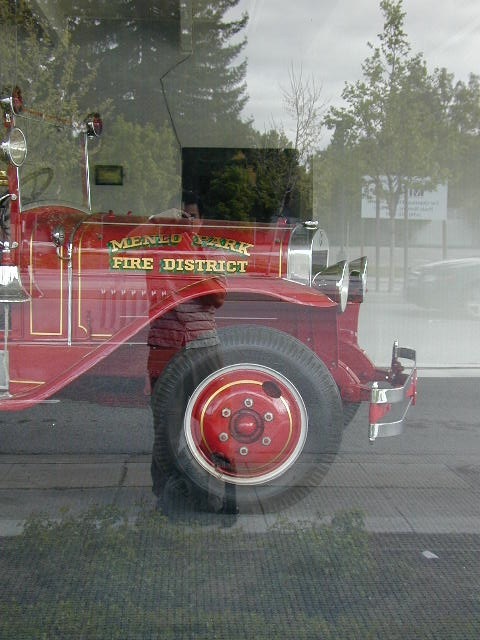 Took two short breaks, but decided to push on into Menlo Park before taking an extended break. 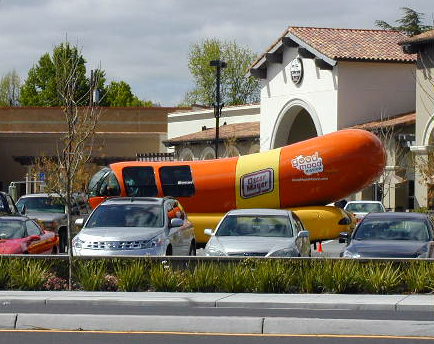 Menlo Park: Resting mobile giant phallus. The first mile of Atherton was the scariest portion of my walk, because that stretch of El Camino Real has no sidewalks, just a shoulder area. The only thing between myself and the whizzing hulks of metal was a white line painted on the road two feet from my left side. 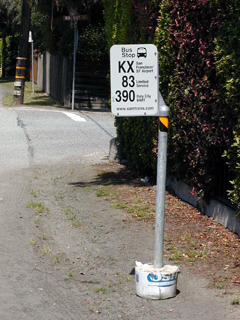 The bus stops have no shelters, so I couldn't rest until I got past the asphalt hell portion. There are sidewalks when the zoning changes from residential to business. Can't have paying customers run over before they spend money in tax-paying establishments! For the last 10 miles of my trip, from Redwood City to San Mateo, I was getting increasingly achey in my calves and my feet were little bundles of nagging pain. Lesson learned - on my "real" walking trip to S.F., do no more than 8 or 10 miles a day. Interesting that from an aerobic point-of-view, I was just fine the whole trip. I think the snacking on trail mix and hydrating helped in that regard, and the planned rest stops. Redwood City: Little Copenhagen Restaurant sign - a restaurant I was always curious about when I lived in San Carlos, but reviews rated it mediocre, so we never tried it. I see now that the restaurant is closed, but fine dining is still available! 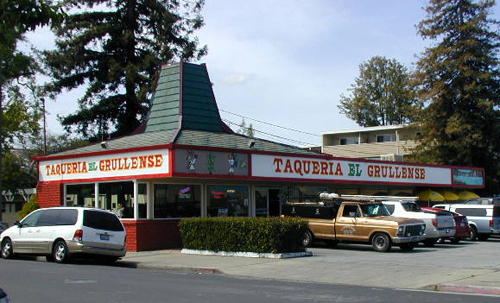 Redwood City: Taqueria El Grullense - they make damn fine chorizo scrambled eggs here! Ate lunch at the Whole Foods in Redwood City. Then tried to find a place to stretch out a bit and rest. Found the foyer of an office building under construction, with nice new cool metal benches. 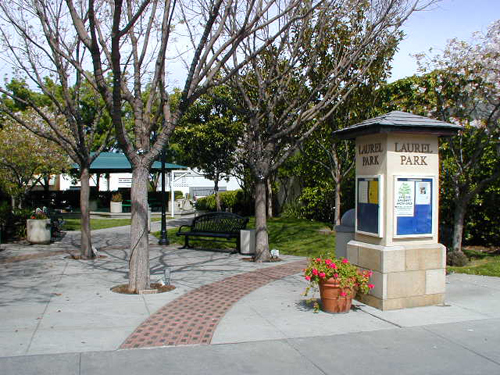 San Carlos: Laurel Park, a charming little post-stamp-sized park, in downtown San Carlos. Every bench has a plaque giving credit to the donors who made the purchase of the bench possible. Belmont: The sign of the old Belmont Theatre - the true signpost of Belmont, greeting visitors traveling south from San Mateo. When I reached Hillsdale Mall, I could finally see in the distance one of my major psychological goals, the overpass of Highway 92. It truly gave me strength to see this major landmark coming closer to me with every step. 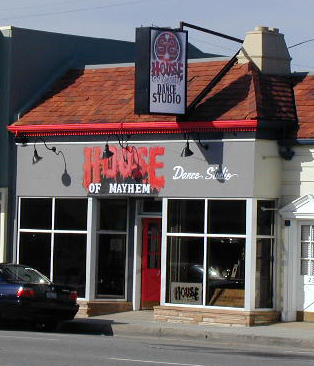 San Mateo: Supreme Soul's "The House Of Mayhem" Dance Studio - teaching hip-hop and other styles of dance. I originally planned to walk until 7pm, but I reached my limit at 6pm, after 20 miles. 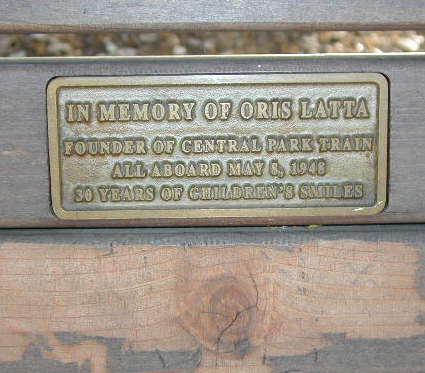 I waited for Mary to pick me up at Central Park in San Mateo, on a bench with this plaque in memory of Oris Latta. I gave the squirrels some of my homemade trail mix. They mostly focused on the walnut meats and disdained the dried cereal. I also passed on any having any more cereal, and opted instead for pizza and smokey BBQ'd mammal flesh at Windy City Chicago Style Pizza - and it was good! 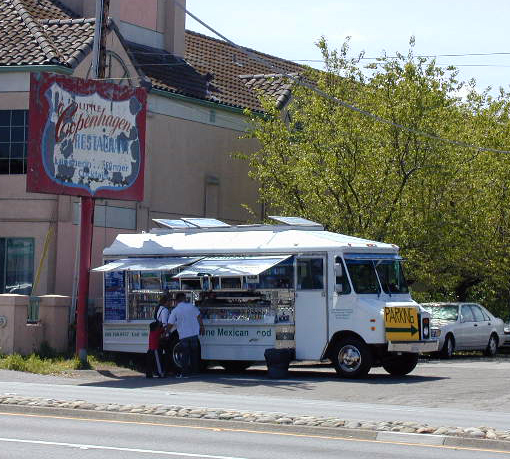 One of the things I've always wanted to try, in my time of living in the south of the San Francisco Bay Area, was to walk from where I lived, northward to San Francisco via El Camino Real. I would take my time, stopping to check out interesting places as the whim strikes me. At night, I'd sleep at a motel or with friends. My terminating goal would be to touch the Pacific Ocean at Ocean Beach. As a test in support of that goal, this Saturday I'm going to walk from our house , northward up El Camino Real as far as I can from 7AM to 7PM. I intend to take breaks every two hours, and a longer break at lunch. Whichever city I end up in, my wife will meet me there and we'll go to dinner at a local restaurant. This Saturday walk will mostly be a straight slog with no pausing to check out the sights along the way. I won't be going for speed, just a steady comfortable pace. I probably won't bring any sort of device with me more complicated than my "dumb" cell phone, so I won't be tempted to stop at every wifi spot and post FaceBook updates about my journey! My cell phone has terrible texting features, so I won't be doing that either. I will bring my old digital camera - it's lighter than the new one, and I don't want to take elaborate pictures anyway. The documentation will mainly be done with a little notebook and a pencil. I estimate that I will get no farther than San Mateo - 20 miles. I have not done any special training or conditioning for this - I just plan to wear comfortable layered clothing and head protection, and bring a small pack for any clothes I shed and my notebook. Oh, and some snacks and a water bottle. April Fool's Day 2010 Aggregation! Please post links to good 2010 April Fool's stuff here in comments! Best Male Comradeship Scenes From Movies? Kambei: As a matter of fact, I'm preparing for a tough war. It will bring us neither money nor fame. Want to join? Shichiroji: (Without a moment's hesitation) Yes! Kambei: Maybe we die this time. The other one is the classic "I'm Spartacus!" scene from the movie Spartacus. Often referenced and parodied. 1. In the future, mercenary companies will have a "do not hire" policy on asians, and asians can only be found working in nerdy fields like "science". Or, maybe asians will be too smart and/or rich and/or sane to hire into a mercenary army. 2. Initially it bothered me that, once Jake found out that a human's mind could be transferred into a Na’vi body, why didn't they just do it before the big battle? But then it occurred to me that it hadn't been proven to work, and they had to get ready for the battle - no time to try another transfer. 3. [3D tech] The circular polarization that REALD uses in their 3D glasses works a lot better that the old linear polarized glasses. Circular polarization allows a person to move their head much more that linear polarization, which makes for a much more comfortable viewing experience. Hero uses an avatar to infiltrate a tribe. The hero is smaller and weaker than the avatar. Tribal female teaches the hero the skills needed to be a member of the tribe. Tribal female falls in love with the avatar. Hero has information that proves key in defeating an unethical foe. Upon being told the truth, the female initially rejects both the hero and the avatar. 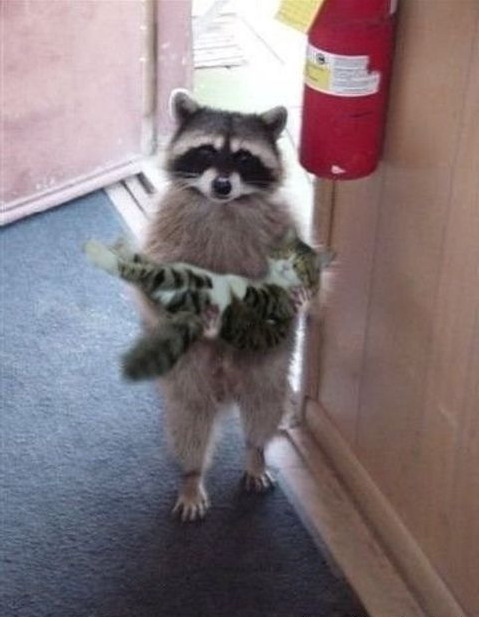 Hero becomes a respected member of the tribe. Did I miss any other similarities? I got the idea a week or so ago. The title first, I don't know what the inspiration was. One of many problems - bring tropical voodoo to Europe, or brings Jewish magic to the Caribbean? OK - I'm going to admit it. What IS a hipster, anyway? 1) Is there a style code for hipsters? That is, can I tell by looking? 2) Is it an equal-gender thing, or are there more of one gender over the other? 3) Is there a difference between a hipster and a wanna-be hipster? 4) Would anyone admit to being a hipster, or is it a purely derogatory term? 5) Is there overlap with other groups? 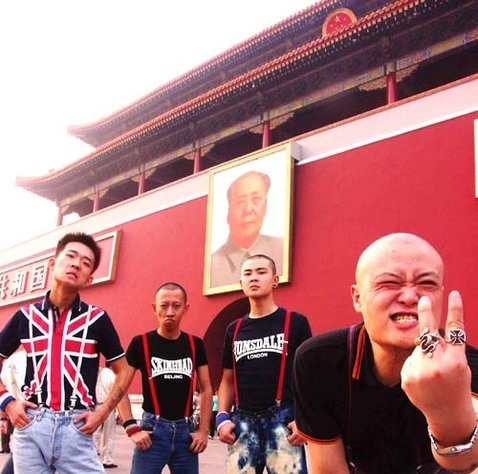 6) Is there a hipster subculture? Somebody please use this on Hatepup! So - as a whim, after reading the comments of this Metafilter post, I search for "Darkseid Dr. Doom", and was gratified to see a whole bunch of "Darkseid vs Dr. Doom - who would win?" results, as I suspected there would be. I've seen so many topics of discussion like this (Addams Family versus Munsters, Thing vs Hulk, etc ), and an entire web site was devoted to fantasy matchups (Grudge Match), not to mention sports (George Foreman vs Mike Tyson, Team X from 19** vs Team Z from 20**). I like to imagine that this comes from a basic instinct to evaluate the strengths and weaknesses of possible foes and allies, prior to any actual conflict where that must be put to the test. "Tribe Over-The-Hill-And-Through-The-Woods have more men than us, but they're still using those crappy stonepoint spears while we're using the advanced metal technology"
"So what? Stone or metal, they'll still be ticking your backbone if you get in the way of one!" I wonder if my title is inaccurate, in the sense that, maybe women get into "who would win/who's better" conversations too - I just don't have a memory of any when in the presence of gals talking. Anyone got any online examples to educate me?